Steve Martin is the creative force behind Ripple Training and has been using and teaching Final Cut Pro since 1999. Since Final Cut Pro’s introduction, he has introduced thousands of people to Final Cut Pro through his classes, workshops and training products. He has consulted and/or trained for Apple, Adobe, Disney, Canon, Walmart and other companies. He is also a writer, producer and avid photographer. 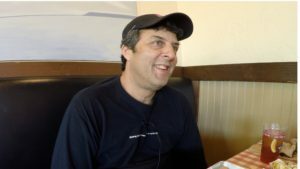 We caught up with Steve for lunch at the 2016 Final Cut Pro X Creative Summit on October 31st. By some odd co-incidence, after a run of guest one at a time, we have two pairs of guests in a row: this time Ryan Velin and Mads Larsen Nielsen. FCPX Post System Integrator, Metronome Mads Larsen Nielsen has 15 years of editing experience. As network system integrator he has handled more than 100 documentaries and large scale television productions. Since arriving at Metronome Productions 3 years ago, he has been responsible for developing network and server environments and optimising workflows for Final Cut Pro X productions. Head of Final Cut Pro X Post Production, Metronome Ryan Velin has been an editor at Metronome Productions for more than five years. For the past 4 years he has been in charge of implementing Final Cut Pro X into post production and is now entirely committed to coming up with new ways of working and the implementation of new technology all revolving around Final Cut Pro X. 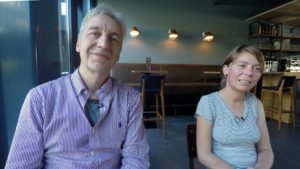 The latest in our lunch series is with Ronny Courtens and Nouch Demeulenaere recorded during IBC in September 2016. Ronny has had an amazing career across Europe, from Olympic broadcasting to mainstream television. Nouch is both Ronny’s assistant and a video artist in her own right. 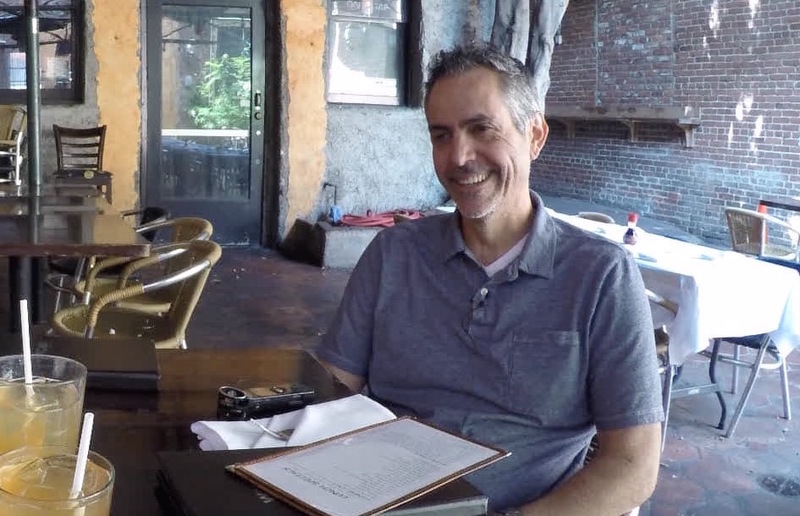 Our lunch guest David Basulto graduated from being the media arts and animation instructor at award-winning San Marino High School in Southern California to an accidental entrepreneur and founder of iOgrapher. After seeing the shift to digital, he dove head first into learning as many tools as possible and fell in love with the iPad, leading to the development of the first iOgrapher devices. He has had a interesting career as an actor and producer before becoming an education and later, entrepreneur. 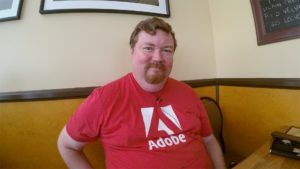 Karl Soule has been with Adobe for over 10 years, focused on the Pro Video and Broadcast market. 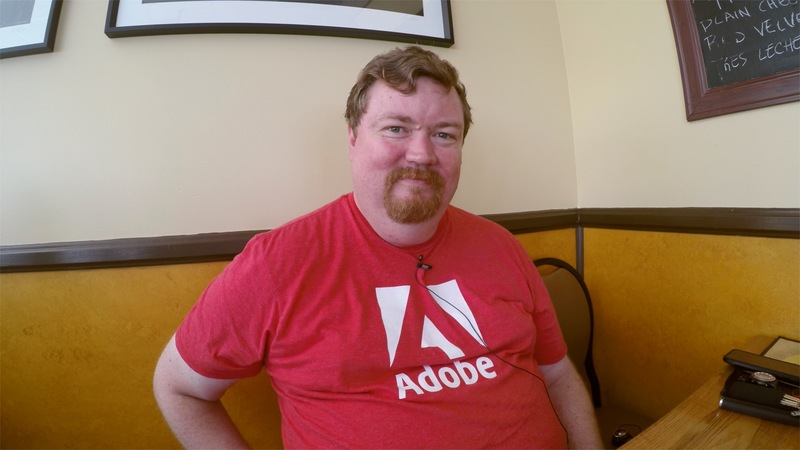 Karl traveled worldwide as an Adobe Video Evangelist, inspiring video professionals on five continents. 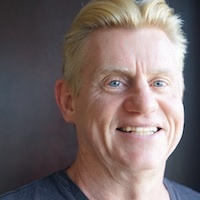 For the last 5 years, Karl has been living in Singapore and working in Asia, helping to grow the broadcast business and drive awareness of the video tools for that growing market. Currently based in Los Angeles, Karl is supporting the Hollywood and Broadcast markets for the US West Coast. Our latest lunch with Oliver Peters was recorded during NAB 2016 in Las Vegas. 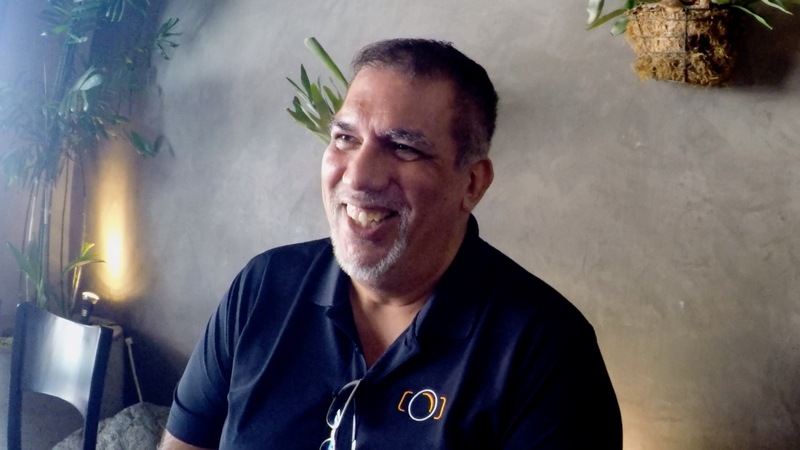 Oliver Peters is an independent video/film editor, colorist, post production supervisor and consultant. He is also a contributing editor/writer for Videography, DV and TV Technology magazines. 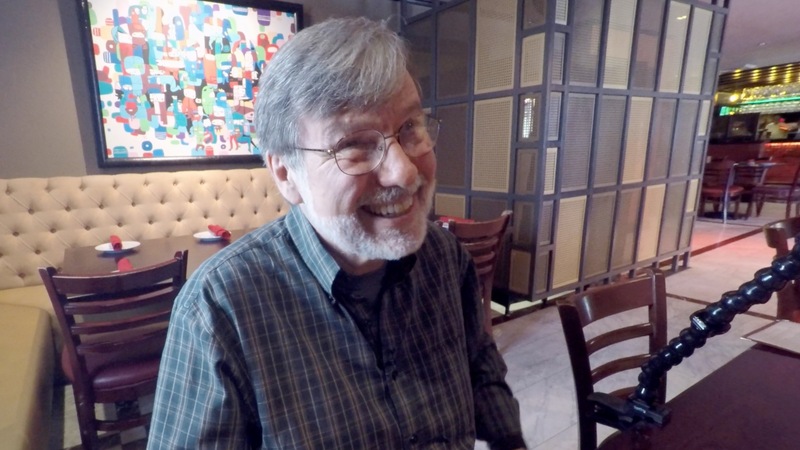 he’s worked in the radio, television and film industries since 1970. Over the years, this has included a variety of hands-on production and post production positions, as well as various facility management roles. Along the way, I have earned numerous awards, including local, regional and national Addy, Telly and Monitor Awards. His full bio can be found on his blog. Mike Matzdorff is a writer, director, editor, assistant editor and has composed the score for one indie film and a stage play. 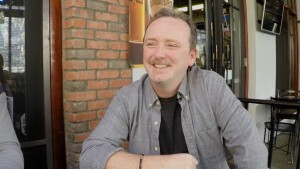 He has spent over 20 years in editing rooms of feature films and Emmy winning television shows, including Fight Club, Analyze This, Last Comic Standing and Monk. 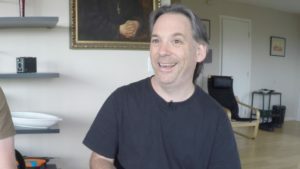 He was the first assistant editor on FOCUS – the first major film edited on Apple’s Final Cut X software – and wrote a book on the experience loaded with real world tips, tricks, and proven workflow techniques (check fcpxfeatures.co). Recently, Mike has been: a keynote speaker at the FCPX Creative Summit, a guest lecturer at the University of Illinois & San Diego Fina Cut User Group, and led a panel at a special event featuring Final Cut Pro X hosted by the American Cinema Editors. He’s currently editing animation for Duncan Studio in Pasadena and helms his production company miguma. Doug blush has been an award-winning filmmaker for more than 20 years, currently focusing on top level documentary features and independent film productions through his Los Angeles-based company, MadPix, Inc.
Our latest Lunch guest is Heather Williams. Heather has been working with manufacturers for nearly 10 years helping to bring the best video production tools to market – meeting the important and evolving needs of today’s creative professionals. She began her career as part of the original team at G-Technology and helped grow the company into the world’s leading supplier of external drives to the creative community. She now continues her dream of working with creative professionals as the VP of Sales at Atomos and sharing how their line of award-winning products are revolutionizing today’s production workflow.